Whether it’s losing money on the stock market, or seeing your favorite soccer team lose in the World Cup, it comes as no great revelation that humans really don’t like to lose. This concept is commonly referred to as ‘loss aversion’. As we associate losing with failure, grief and pain, we try – where possible – to avoid losing and experiencing these unpleasant emotions. 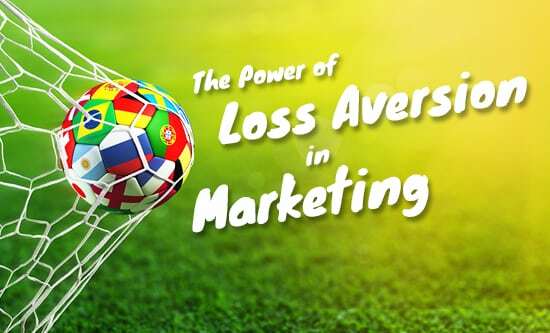 When it comes to marketing, the principle of loss aversion is a powerful tool available to brands to increase customer engagement and encourage conversions. In fact, when employed correctly, loss aversion can inspire purchases and even create potential long-term brand commitment. For example, if someone has been using a free trial, it’s unlikely that they’ll want to return to their original package. Therefore they may opt to continue the subscription by paying monthly installments after the trial period finishes. As Kahneman & Tversky describe in their book Prospect Theory: An Analysis of Decision under Risk, for many of us, “losses loom larger than gains”. Over the past few decades there have been hundreds of studies exploring loss aversion. Common to almost every study has been the conclusion that the pain of losing something is almost twice as strong as the pleasure of gaining something else. For instance, if you missed out on a discount and were forced to spend more money for the same item, you’d likely be unhappy. Therefore the discount provides a strong motivation to buy the item immediately i.e. resulting in another conversion. Related to loss aversion comes another interesting human phenomenon known as the “endowment effect”. This emotional bias says that once we own something (and fear losing it), we tend to overvalue the object irrespective of its logical value. In 1990, Professor Kahneman conducted a study to prove the ‘endowment effect’. In the study one group of participants were gifted a mug and later asked how much they would sell it for. The other group were not gifted mugs but instead were asked how much they would pay for an identical one. The results showed that the mug owners placed a significantly higher value on the mugs than the buyers did. – As much as possible, give customers a sense of ownership over the product from the outset. – Utilise free trials and having customers use the product or service as they create a sense of ownership and instill a sense of potential loss when they end. 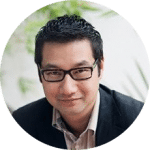 – When compiling offers at checkout, offer full-product options and allow customers to scale back their selection by removing elements if they wish. If used strategically, loss aversion can have a powerful conversion-effect. By providing customers useful information (which in turn reduces the Paradox of Choice), you’ll help in guiding them to make informed consumer decisions.